Nintendo fans haven’t had a console Castlevania since way back in the days of the Nintendo 64. The titles for that system had a huge budget and long development cycle between them, and the final products were very lacklustre. At the same time developer Konami instructed a smaller development team to make what was then thought to be the last 2D Castlevania. 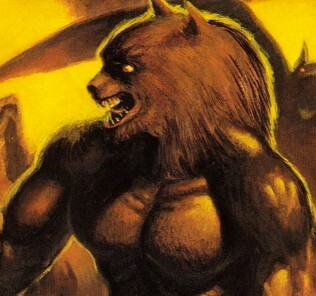 This game would become known as Castlevania Symphony of the Night, which is now regarded as one of the best titles in the series. It’s hard to not draw parallels between this situation, and that of Castlevania Judgment and Castlevania: The Adventure Rebirth. Sure, Castlevania Judgment was a Wii exclusive with really high presentation values, but it was a fighting game spin-off of dubious quality at best. 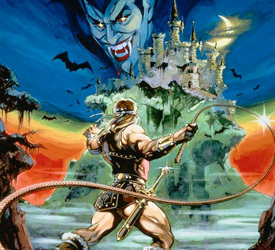 Meanwhile the comparably low-budget WiiWare title, Castlevania: The Adventure Rebirth is a resurrection of the classic Castlevania gameplay, the likes of which hasn’t graced a Nintendo home console since Super Castlevania IV released for the Super Nintendo Entertainment System (SNES) in November of 1991. Fans of the series, or indeed anyone who considers themselves a retro gamer, will definitely be interested in dropping the Wii points for this one. Castlevania: The Adventure Rebirth takes its name from the 1989 Game Boy classic Castlevania: The Adventure. While this modern title is sometimes referred to as a ‘remake’ or ‘re-imagining’ of its source material, it really only shares its narrative and characters. The level design is quite different, so much so that it warrants the game to be viewed as a standalone title. As with nearly all the games in the series, the story revolves around a member of the Belmont clan (a bloodline of vampire hunters) setting out on a quest to destroy the recently revived Dracula. This title features Christopher Belmont, great-grandfather of Simon Belmont and takes place 100 years before the events of the original Nintendo Entertainment System (NES) game. It’s his destiny, like the Belmonts before him, to storm Dracula’s castle and defeat the Prince of Darkness yet again. It’s a pretty standard affair as far as Castlevania plots go. However, as the entire pitch of this game is to be a throw-back to a more retro-style feel, it wouldn’t make sense to have a deep, existential plot. Besides, this simple plot is given much more life through the game’s vivid graphics. These beautifully designed sprites are very reminiscent of the classic 16-bit games that inspired them, but they’re much more vivid and colourful tha n say, Super Castlevania IV. They’re aesthetically pleasing, and are complimented by simple menu interface. It’s sort of refreshing to not have a lengthy intro-scene, or a dynamic menu system. The sound follows a similar trend, feeling like the highest end of 16-bit sound capabilities and quality. All the sound effects feel fleshed out and full, such as when Christopher yells upon his death or the whip-crack of his Vampire Killer. 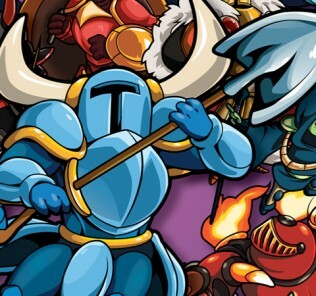 In addition the soundtrack is comprised of high-quality remixes of tracks from previous titles, which is a great addition for fans of the series. The presentation definitely invokes the spirit of the old-school games, and this is equally represented in the gameplay. Anyone who has played a classic Castlevania title will be very familiar with Castlevania: The Adventure Rebirth’s gameplay. General gameplay revolves around successfully traversing through a stage (of which there are 6 in total). 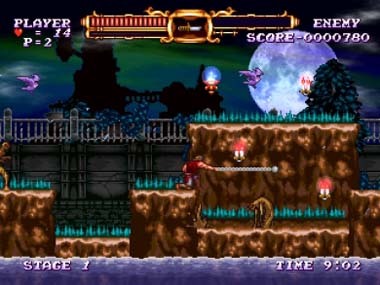 Along the way players must defeat enemies, avoid traps and obstacles, occasionally fight a mini-boss and then defeat a final boss at the end of each stage. Christopher is rather sluggish not only in his movement, but his rate of attack as well. This places an emphasis on planning an appropriate strategy for tackling the games enemies and hazards. The player is simply not agile enough to speed through the level, decimating everything in his path (unless you’re really good). 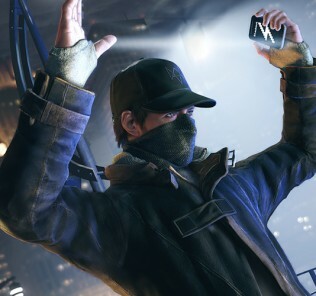 The game is built around very solid level-design, in which Konami have provided players with a lot of set scenarios to work through. For example, the beginning of stage 4 there are chandeliers that hang from the ceiling. They’re not very noticeable as they blend quite well with the background. However if the player walks underneath them, they’ll fall, dealing considerable damage. Once aware of this though, the player can take advantage of this hazard. If enemies are nearby, approaching the chandeliers to make them fall and crush them is possible (and recommended). This is an example of how engaging the level-design can be, and there are many more similar scenarios, that highlight the design prowess of linear gameplay. That isn’t to say there is no exploration, although it mainly takes place in the form of branching paths. Players will always end up at the boss room, but the path they take may yield more points (useful for obtaining extra lives) or health (in the form of meat hidden in walls). These can be accessed among other means, by activating bridges and collecting keys to open doors. This promotes multiple playthroughs for those interested in ‘seeing everything’, as well as going for high scores or a minimal-death run. However there isn’t too much to this title’s longevity. Aside from an initial playthrough and the aforementioned specialised runs, the game offers little in regards to re-playability. That being said, the amount of time players will dedicate to this game to even finish it will be substantial. As the general gameplay is based around memorisation of particular scenarios and strategising a method of approach, deaths and failed attempts are plentiful. Players who find this irritating need not apply. Those who are okay with doing the hard-yards and revel in the feeling of accomplishment that follows will be right at home. 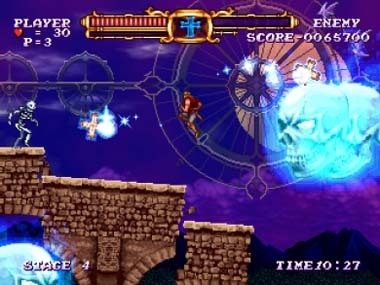 As Castlevania: The Adventure Rebirth is a downloadable title, and one with boundaries due to the WiiWare memory limit, not much more can be expected. There is an option to play the game on a hard difficulty setting, as well as an option to revert the style of gameplay to “classic”. Basically this regresses the game even further towards its predecessors, with some of the numerous effects including being unable to change direction when jumping or limiting the availability of sub-weapons to the Holy Water and Crucifix. Players will be aware whether or not this option appeals to them, and utilise it or ignore it depending on their tastes and the level of challenge they’re seeking. However these are all the sort of options players will appreciate in a retro throw-back. There is little to complain about, and what little there is seems largely irrelevant. Once again the game stays very true to its roots in that it doesn’t provide a save system. Purists won’t mind this, as it definitely still holds a genuine ‘arcade’ feel, but modern gamers will lament the fact that the game needs to be played in one sitting. Admittedly there is a stage select feature, but the fact that is hidden and you need to input a code to utilise it doesn’t cut players any slack. Additionally one of the game’s sub-weapons is easily the best choice in nearly every situation that the rest become quite superfluous. In that regard a little bit more balancing wouldn’t have gone astray. It’s important to note how minor these grievances are (almost to the point of pettiness), but it does stop the title from achieving a level of ‘flawlessness’, which is quite revered by today’s critics and consumers. Konami have provided an excellent action-platformer in the form of Castlevania: The Adventure Rebirth. The game is a wonderful rendition of classical Castlevania style and gameplay and one that fans of retro titles or indeed just the older games in the series will appreciate. A word of warning that this is not a game to be played casually; time needs to be dedicated to it, and frustration and explicit rambling will most likely go hand in hand. Players up to this challenge will find not only the definitive Wii Castlevania experience (excluding Virtual Console), but one of the best action games to grace the console. For 1000 Wii Points (approximately $15), this game is an excellent pick-up for retro gamers and those seeking a true challenge. Unfortunately due to its now (sadly) niche market, it can’t be recommended to the entire gaming demographic.